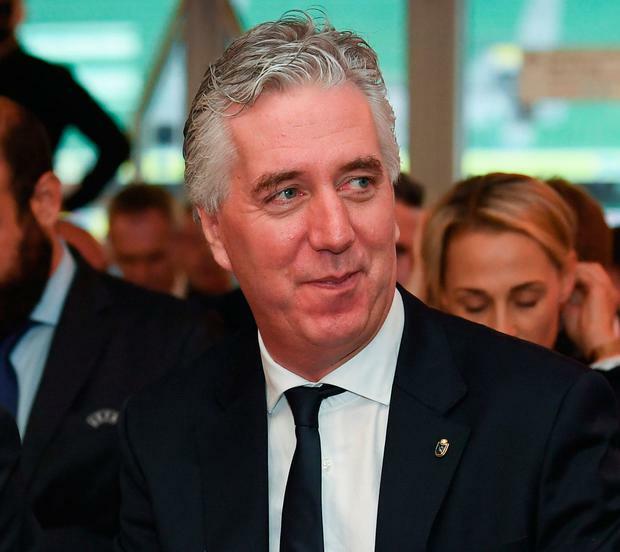 FORMER Football Association of Ireland (FAI) boss John Delaney has been accused of behaving “disgracefully” by not to answering TDs’ questions. The claim was made by Sinn Féin TD Imelda Munster who asked him if he had considered resigning amid the controversy over a €100,000 loan he gave the FAI in 2017. Mr Delaney simply replied that he had read his statement to the committee earlier. In his statement to the Oireachtas Sport Committee this morning he said he would not answer questions on the €100,000 loan, the FAI’s finances, or his former job as chief executive due to legal advice. He said he would answer questions on his current role of executive vice president. Ms Munster asked FAI president Donal Conway if Mr Delaney had offered his resignation. She asked Mr Delaney directly if he had ever considered his position. He replied: “I’ve read my statement already”. “He’s furnished us with the statement while refusing to answer any questions in relation to the statement”. She said: “It’s an absolute disgrace and it’s been farcical what’s going on here. “The only good thing is that the public out there have witnessed it first hand too. Earlier Fianna Fáil TD Robert Troy accused the FAI representatives of being “evasive, vague, non-committal, ambiguous” in their replies to the committee’s questions. He put it to Mr Conway that he chose the questions he wished to answer when he confirmed that Mr Delaney wasn’t given a severance package when he stepped down as chief executive and was appointed executive vice-president. However, Mr Troy said Mr Conway refused to answer a question about any pension arrangements for Mr Delaney’s. Mr Troy asked if the board of the FAI will consider their positions and step down if it’s a condition on Sport Ireland funding to the organisation being restored after it was suspended yesterday.